However, while the elections themselves were fairly conducted by a secret ballot, the campaign that preceded them was highly irregular. Opposition newspapers were banned on more than one occasion, and in Serbia, the opposition leaders such as Milan Grol received threats via the press. The opposition withdrew from the election in protest to the hostile atmosphere and this situation caused the three royalist representatives, Grol-Subasic-Juraj Sutej, to secede from the provisional government. Indeed, voting was on a single list of People's Front candidates with provision for opposition votes to be cast in separate voting boxes, but this procedure made electors identifiable by OZNA agents. The election results of 11 November 1945 were decisively in favor of the former, with an average of 85% of voters of each federal state casting their ballot for the People's Front. 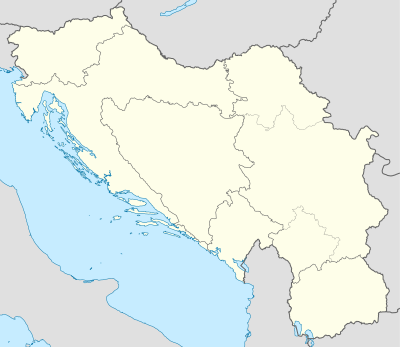 The Yugoslav government allied with the Soviet Union under Joseph Stalin and early on in the Cold War shot down two American airplanes flying in Yugoslav airspace on 9 and 19 August 1946. These were the first aerial shoot downs of western aircraft during the Cold War and caused deep distrust of Tito in the United States and even calls for military intervention against Yugoslavia. The new Yugoslavia also closely followed the Stalinist Soviet model of economic development in this early period, some aspects of which achieved considerable success. In particular, the public works of that period organized by the government managed to rebuild and even improve the Yugoslav infrastructure (in particular the road system), with little cost to the state. Tensions with the West were high as Yugoslavia joined the Cominform, and the early phase of the Cold War began with Yugoslavia pursuing an aggressive foreign policy. Having liberated most of the Julian March and Carinthia, and with historic claims to both those regions, the Yugoslav government began diplomatic maneuvering to include them in Yugoslavia. Both these demands were opposed by the West. The greatest point of contention was the port-city of Trieste. The city and its hinterland were liberated mostly by the Partisans in 1945, but pressure from the western Allies forced them to withdraw to the so-called "Morgan Line". The Free Territory of Trieste was established and separated into Zone A and Zone B, administered by the western Allies and Yugoslavia respectively. Initially, Yugoslavia was backed by Stalin, but by 1947 the latter had begun to cool towards the new state's ambitions. The crisis eventually dissolved as the Tito–Stalin split started, with Zone A being granted to Italy, and Zone B to Yugoslavia. The only communist neighbor of the People's Republic of Albania was Yugoslavia, and in the immediate post-war period, the country was effectively a Yugoslav satellite. Neighboring Bulgaria was under increasing Yugoslav influence as well, and talks began to negotiate the inclusion of Albania and Bulgaria in Yugoslavia. The major point of contention was that Yugoslavia wanted to absorb the two as federal republics. Albania was in no position to object, but the Bulgarian view was that the new federation would see Bulgaria and Yugoslavia as a whole uniting on equal terms. As these negotiations began, Yugoslav representatives Edvard Kardelj and Milovan Đilas were summoned to Moscow alongside a Bulgarian delegation, where Stalin and Vyacheslav Molotov attempted to brow-beat them both into accepting Soviet control over the merge between the countries, and generally tried to force them into subordination. The Soviets did not express a specific view on the issue of Yugoslav-Bulgarian unification but wanted to ensure both parties first approved every decision with Moscow. The Bulgarians did not object, but the Yugoslav delegation withdrew from the Moscow meeting. Recognizing the level of Bulgarian subordination to Moscow, Yugoslavia withdrew from the unification talks, and shelved plans for the annexation of Albania in anticipation of a confrontation with the Soviet Union. The Tito–Stalin, or Yugoslav–Soviet split took place in the spring and early summer of 1948. Its title pertains to Josip Broz Tito, at the time the Yugoslav Prime Minister (President of the Federal Assembly), and Soviet Premier Joseph Stalin. In the West, Tito was thought of as a loyal communist leader, second only to Stalin in the Eastern Bloc. However, having largely liberated itself with only limited Red Army support, Yugoslavia steered an independent course and was constantly experiencing tensions with the Soviet Union. 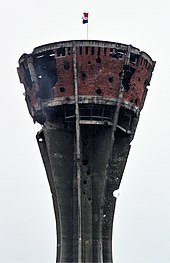 Yugoslavia and the Yugoslav government considered themselves allies of Moscow, while Moscow considered Yugoslavia a satellite and often treated it as such. Previous tensions erupted over a number of issues, but after the Moscow meeting, an open confrontation was beginning. 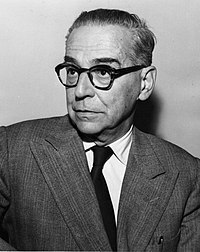 Political liberalization began with the reduction of the massive state (and party) bureaucratic apparatus, a process described as the "whittling down of the state" by Boris Kidrič, President of the Yugoslav Economic Council (economics minister). On 2 November 1952, the Sixth Congress of the Communist Party of Yugoslavia introduced the "Basic Law", which emphasized the "personal freedom and rights of man" and the freedom of "free associations of working people". 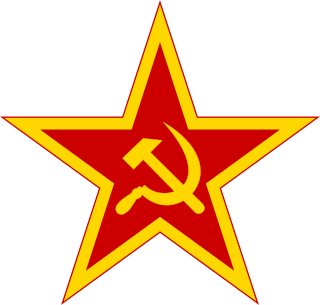 The Communist Party of Yugoslavia (KPJ) changed its name at this time to the League of Communists of Yugoslavia (SKJ), becoming a federation of six republican Communist parties. The result was a regime that was somewhat more humane than other Communist regimes. However, the LCY retained absolute power; as in all Communist regimes, the legislature did little more than rubber-stamp decisions already made by the LCY's Politburo. The secret police, the State Security Administration (UDBA), while operating with considerably more restraint than its counterparts in the rest of Eastern Europe, was nonetheless a feared tool of government control. UDBA was particularly notorious for assassinating suspected "enemies of the state" who lived in exile overseas. [unreliable source?] The media remained under restrictions that were somewhat onerous by Western standards, but still had somewhat more latitude than their counterparts in other Communist countries. Nationalist groups were a particular target of the authorities, with numerous arrests and prison sentences handed down over the years for separatist activities. In the early 1960s concern over problems such as the building of economically irrational "political" factories and inflation led a group within the communist leadership to advocate greater decentralization. These liberals were opposed by a group around Aleksandar Ranković. In 1966 the liberals (the most important being Edvard Kardelj, Vladimir Bakarić of Croatia and Petar Stambolić of Serbia) gained the support of Tito. At a party meeting in Brijuni, Ranković faced a fully prepared dossier of accusations and a denunciation from Tito that he had formed a clique with the intention of taking power. Ranković was forced to resign all party posts and some of his supporters were expelled from the party. In 1971 the leadership of the League of Communists of Yugoslavia, notably Miko Tripalo and Savka Dabčević-Kučar, allied with nationalist non-party groups, began a movement to increase the powers of the individual federal republics. The movement was known as the Mass Movement (MASPOK) and led to the Croatian Spring. Tito, responded to the incident by purging the Croatian Communist party while Yugoslav authorities arrested large numbers of the Croatian protesters. To avert ethnically driven protests in the future, Tito began to initiate some of the reforms demanded by the protesters. At this time, Ustaše-sympathizers outside Yugoslavia tried through terrorism and guerrilla actions to create a separatist momentum, but they were unsuccessful, sometimes even gaining the animosity of fellow Roman Catholic Croatian Yugoslavs. From 1971 on, the republics had control over their economic plans. This led to a wave of investment, which in turn was accompanied by a growing level of debt and a growing trend of imports not covered by exports. Many of the demands made in the Croatian Spring movement in 1971, such as giving more autonomy to the individual republics, became reality with the new federal constitution 1974. While the constitution gave the republics more autonomy, it also awarded a similar status to two autonomous provinces within Serbia: Kosovo, a largely ethnic Albanian populated region, and Vojvodina, a region with Serb majority but large numbers of ethnic minorities, such as Hungarians. These reforms satisfied most of the republics, especially Croatia and the Albanians of Kosovo and the minorities of Vojvodina. But the 1974 constitution deeply aggravated Serbian communist officials and Serbs themselves who distrusted the motives of the proponents of the reforms. Many Serbs saw the reforms as concessions to Croatian and Albanian nationalists, as no similar autonomous provinces were made to represent the large numbers of Serbs of Croatia or Bosnia and Herzegovina. Serb nationalists were frustrated over Tito's support for the recognition of Montenegrins and Macedonians as independent nationalities, as Serbian nationalists had claimed that there was no ethnic or cultural difference separating these two nations from the Serbs that could verify that such nationalities truly existed. A very popular genre in Yugoslavia, also exported to other neighboring countries, and also popular among the Yugoslav emigration worldwide, was the Narodna muzika. The Slovenian most popular folk music was played by Avsenik brothers (Ansambel bratov Avsenik) and Lojze Slak.The folk music emerged in force during the 1970s and 1980s, and by the 1980s and 1990s the so-called novokomponovana muzika style appeared and gave place to controversial turbo-folk style. Lepa Brena in the 1980s become the most popular singer of the Yugoslavia, and a top-selling female recording artist with more than 40 million records sold. Folk performers enjoyed great popularity and became constant presence in the tabloids and media. Yugoslav music scene in its diverse genres became known internationally, from traditional folklor music being appreciated worldwide, through rock-pop music being appreciated in Eastern, and lesser extent, Western Europe, to turbo-folk music being widely exported to neighboring countries. Although Yugoslav cities and towns architecturally resembled and followed the styles of Central and Southeastern Europe, what became most characteristic of the SFRY period was the creation of a brutalist-Soviet style architecture buildings and neighborhoods. Yugoslav cities expanded greatly during this period and the government often opted for the creation of Soviet-stylee planned neighborhoods to accommodate the growing working middle-class. Such typical examples are the Novi Beograd and Novi Zagreb neighborhoods in two major cities. ^ Labor Force 1992. CIA Factbook. 1992. Retrieved 30 April 2018. ^ Inflation Rate % 1992. CIA Factbook. 1992. Retrieved 30 April 2018. Serbia and Montenegro, officially the State Union of Serbia and Montenegro, also known as the Federal Republic of Yugoslavia from 1992 to 2003, was a country in Southeast Europe, created from the two remaining federal republics of Yugoslavia after its breakup in 1992. The republics of Serbia and Montenegro together established a federation in 1992 as the Federal Republic of Yugoslavia ,. Yugoslavia was a country in Southeastern and Central Europe for most of the 20th century. 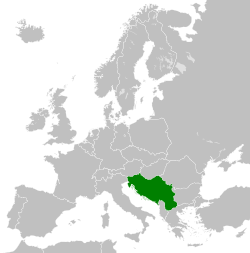 It came into existence after World War I in 1918 under the name of the Kingdom of Serbs, Croats and Slovenes by the merger of the provisional State of Slovenes, Croats and Serbs with the Kingdom of Serbia, and constituted the first union of the South Slavic people as a sovereign state, following centuries in which the region had been part of the Ottoman Empire and Austria-Hungary. Peter I of Serbia was its first sovereign. The kingdom gained international recognition on 13 July 1922 at the Conference of Ambassadors in Paris. The official name of the state was changed to Kingdom of Yugoslavia on 3 October 1929. The Socialist Party of Serbia is a political party in Serbia that identifies as democratic socialist and social-democratic. The Socialist Party of Serbia was the direct descendant of the League of Communists of Serbia. Throughout its existence, the party has utilised some nationalist rhetoric and themes, and has therefore been labelled a Serbian nationalist party, although the SPS has never identified itself as such. The term Greater Serbia or Great Serbia describes the Serbian nationalist and irredentist ideology of the creation of a Serb state which would incorporate all regions of traditional significance to Serbs, including regions outside Serbia that are populated by Serbs. The initial movement's main ideology (Pan-Serbism) was to unite all Serbs into one state, claiming, depending on the version, different areas of many surrounding countries. 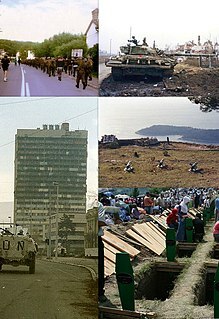 The Yugoslav Wars were a series of separate but related ethnic conflicts, wars of independence and insurgencies fought in the former Yugoslavia from 1991 to 2001, which led to the breakup of the Yugoslav state. Its constituent republics declared independence, despite unresolved tensions between ethnic minorities in the new countries, fueling the wars. The Breakup of Yugoslavia occurred as a result of a series of political upheavals and conflicts during the early 1990s. After a period of political and economic crisis in the 1980s, constituent republics of the Socialist Federal Republic of Yugoslavia split apart, but the unresolved issues caused bitter inter-ethnic Yugoslav wars. The wars primarily affected Bosnia and Herzegovina, neighboring parts of Croatia and some years later, Kosovo. The Socialist Republic of Croatia was a constituent republic and federated state of Yugoslavia. By its constitution, modern-day Croatia is its direct continuation. Along with five other Yugoslav republics, it was formed during World War II and became a socialist republic after the war. It had four full official names during its 48-year existence. 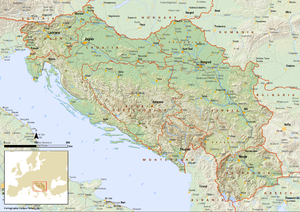 By territory and population, it was the second largest republic in Yugoslavia, after the Socialist Republic of Serbia. The Socialist Republic of Serbia, previously known as Federal State of Serbia and People’s Republic of Serbia, commonly referred to as Socialist Serbia, or simply as Serbia, was one of the six constituent republics of the Socialist Federal Republic of Yugoslavia. It was the largest constituent republic in terms of population and territory. Its capital, Belgrade, was also the federal capital of Yugoslavia. Serbian nationalism asserts that Serbs are a nation and promotes the cultural unity of Serbs. It is an ethnic nationalism, originally arising in the context of the general rise of nationalism in the Balkans under Ottoman rule, under the influence of Serbian linguist Vuk Stefanović Karadžić and Serbian statesman Ilija Garašanin. Serbian nationalism was an important factor during the Balkan Wars which contributed to the decline of the Ottoman Empire, during and after World War I when it contributed to the dissolution of the Austro-Hungarian Empire, and again during the breakup of Yugoslavia and the Yugoslav Wars of the 1990s. The Republic of Serbia was a constituent state of the Federal Republic of Yugoslavia between 1992 and 2003 and the Union of Serbia and Montenegro from 2003 to 2006. With Montenegro's secession from the union with Serbia in 2006, both became sovereign states in their own right. The Republic of Montenegro was a constituent federated state of the Federal Republic of Yugoslavia between 1992 and 2006. The declaration of independence of Montenegro in 2006 ended Yugoslavia. The Presidency of the Socialist Federal Republic of Yugoslavia, also known as the Presidium, was the collective head of state of the Socialist Federal Republic of Yugoslavia. It was established in 1971 according to amendments to the 1963 Constitution and reorganized by the 1974 Constitution. 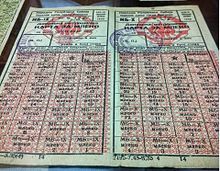 Up to 1974, the Presidency had 23 members – three from each republic, two from each autonomous province and President Josip Broz Tito. 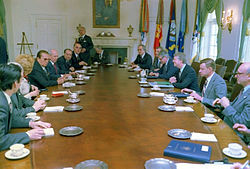 In 1974 the Presidency was reduced to 9 members – one from each republic and autonomous province and, until 1988, President of the League of Communists of Yugoslavia ex officio. Slobodan Milošević was a Yugoslav and the President of Serbia from 1989 to 1997 and President of the Federal Republic of Yugoslavia from 1997 to 2000. He also led the Socialist Party of Serbia from its foundation in 1990. He rose to power as Serbian President after he and his supporters claimed the need to reform the 1974 Constitution of Yugoslavia due to both the marginalization of Serbia and its political incapacity to deter Albanian separatist unrest in the Serbian province of Kosovo. 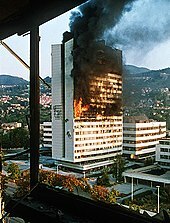 Serbia was involved in the Yugoslav Wars in the period between 1991 and 1999 - the war in Slovenia, the war in Croatia, the war in Bosnia and the war in Kosovo. During this period from 1991 to 1997, Slobodan Milošević was the President of Serbia, Serbia was part of the Federal Republic of Yugoslavia, the International Criminal Tribunal for the Former Yugoslavia (ICTY) has established that Milošević was in control of Serb forces in Bosnia and Herzegovina and Croatia during the wars there from 1991 to 1995. The League of Communists of Kosovo was the Kosovo branch of the League of Communists of Yugoslavia, the sole legal party of Yugoslavia from 1945 to 1990. Yugoslavia was a charter member of the United Nations from its establishment in 1945 as the Socialist Federal Republic of Yugoslavia until 1992 during the Yugoslav Wars. It rejoined the UN under the Federal Republic of Yugoslavia in 2000 as a new member. Its seat was transferred to Serbia in 2006.